Dental veneers were first developed in the early days of motion pictures to give movie stars a bright, enchanting smile. But they only became practical for the everyday person starting in the late 1960s, thanks to advances in dental adhesives. Nowadays they’re within the reach of most people, giving those who are concerned about their appearance new options for enjoying a happier, more outgoing life. Your cosmetic dentist in San Diego will perform a complete oral examination to ensure your teeth are suitable for porcelain veneer therapy. The two of you will discuss your treatment options at that time. This first visit will take about an hour. If both of you agree that porcelain veneers are right for you, then the dentist will make impressions of your teeth. These will be used to create your permanent veneers. He or she will also apply a mild etching solution to your tooth enamel. You may receive a mild anesthetic to ensure your comfort throughout the procedure. This will have no effect on your ability to drive or work afterwards. A few days later you will return to your dentist’s office for the fitting of your permanent veneers. The doctor will make minor adjustments and may trim some of the material in order to ensure optimum results. Assuming you’re happy with your appearance, you can go about the rest of your day with newfound confidence and peace of mind, knowing that you look as good as you feel. Brush with a soft-bristled toothbrush and a low-abrasive brand of toothpaste. Avoid all forms of tobacco. Not only can smoking ruin your internal health, corrosive agents in cigarette smoke can eat away at both your porcelain veneers and your natural teeth. There’s no better time than now to kick the habit. Minimize consumption of beverages like coffee, tea, and red wine. The colorants in these products can stain your veneers if you overindulge in them. Eat sugary or starchy foods only as occasional treats. While your veneers themselves are impervious to decay, they rely on the underlying teeth for their shape and support. Nothing promotes tooth decay faster than a diet high in sweets and starches. Commit to a healthy lifestyle. Every nutritious meal you eat, every exercise routine you complete, every evening spent getting adequate rest is like money in the bank. The benefits you’ll receive back will far outweigh the efforts you put forward. 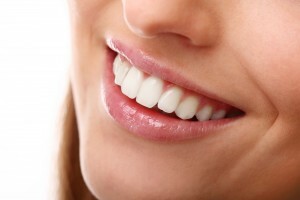 Make an appointment to see your dentist in San Diego soon about porcelain veneers. You’ll soon be on your way to a better, brighter smile. Doctor Kory Grahl is an honors graduate of Nevada Las Vegas School of Dental Medicine. He’s proud to be the latest member of the Mod Squad dentistry team. You can reach his office online or by calling (858) 547-0070.